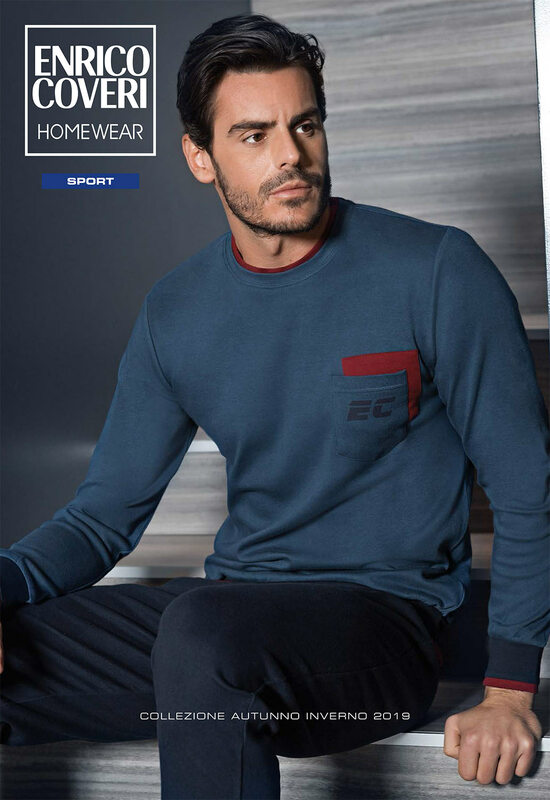 Enrico Coveri, italian brand, hosiery for man, nightwear for man, trade | ITALWEAR'S S.r.l. The brightness of colour and the prevalence of chromatics, the exuberant fantasy of prints, the taste for eccentricity and enjoyment. Then there’s the vivacity of the constructive lines and constant ornamental research. These are the guidelines of fashion by Enrico Coveri.